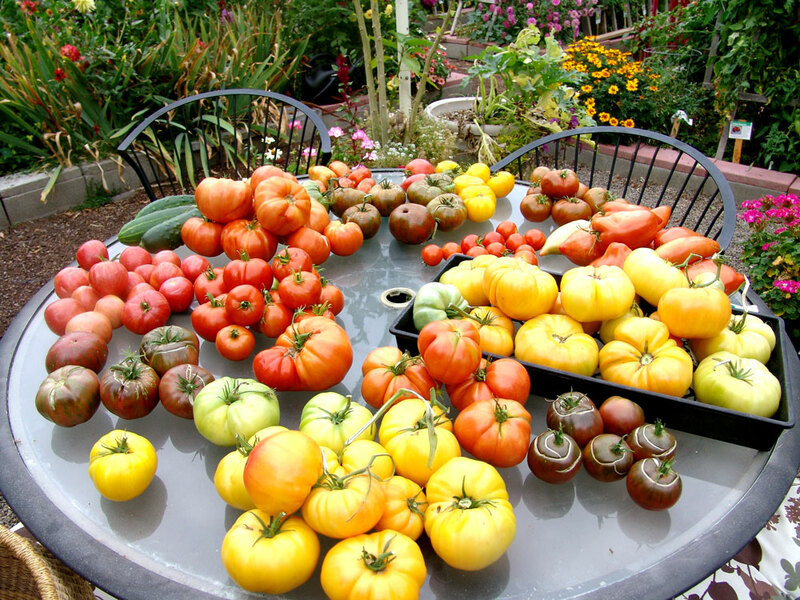 This is from the blog site: One Tomato, Two tomato. Thanks to the blogger. Apparently you can do this with the skins taken off tomatoes when you are slipping them in order to can them. What a great idea! I am constantly creating new healthy items that are easy to pop into lunches or have for snacks. Since it’s the middle of winter, my local apple orchard isn’t exactly open. But my coop had several bags of “seconds” organic apples for only 99¢ a pound. Time to fire up the dehydrator. My latest endeavor is apple dust and dried apples. 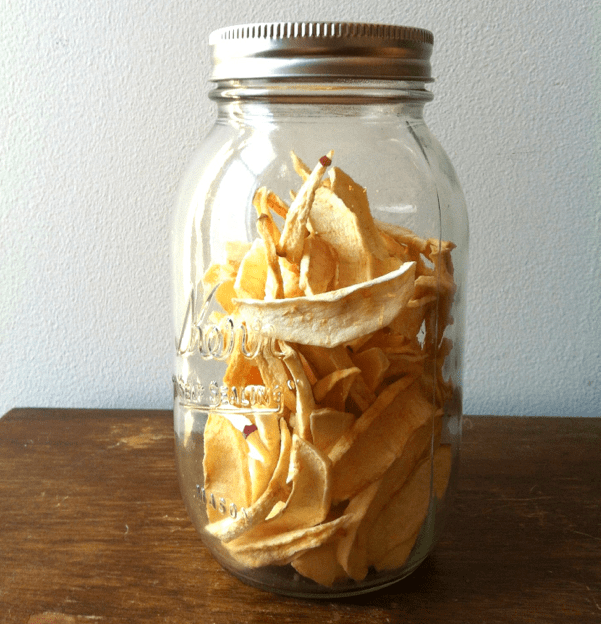 I got the idea for apple dust from drying leftover tomato skins from canning. The skins are dried in the oven, then pulverized, and used to sprinkle on pasta, pizza, rice and beans. Why not do the same for apple peels? My dust (more like bran) had a lovely pink color from the apple varieties I used and a light apple flavor. The best part of the dust is the kick of fiber, antioxidants and nutrients found in apple peels. Don’t let them go to waste! I like to add apple powder to yogurt, oatmeal, pancakes and muesli. The actual dried apples were pretty good, too. They barely lasted a week in my house. Wash fruit well in warm water. Put one gallon of water in a deep bowl along with the lemon juice to prevent the apples from browning. Peel the apples with a potato peeler, putting the peels into the water along with the whole peeled apples. Slice the apples in quarters and core, then slice the apples about 1/4 inch thick. Put the slices in the water as you go. 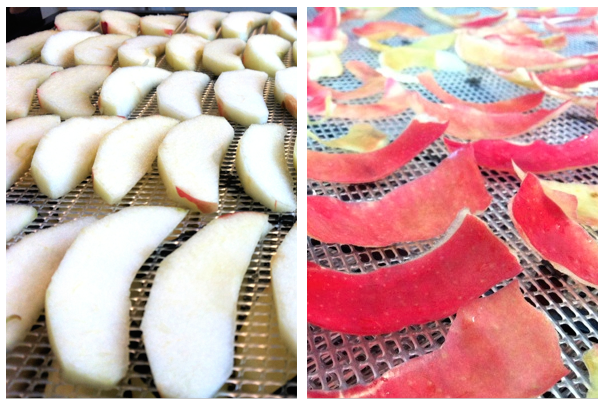 When all the apples are sliced, lay the slices out a single layer deep on your dehydrator trays. Then lay out all your peels on separate trays. You should have around five or six trays of slices and peels. Set your dehydrator to 105 degrees. Load it up with slices and peels. Dry the apples for 4-5 hours until dry but still pliable. Dry the peels until totally dry and stiff, usually several hours more or overnight. Store the apple slices in sealed jars or bags. For Apple Dust take the dried apple peels and freeze them for 30 minutes. 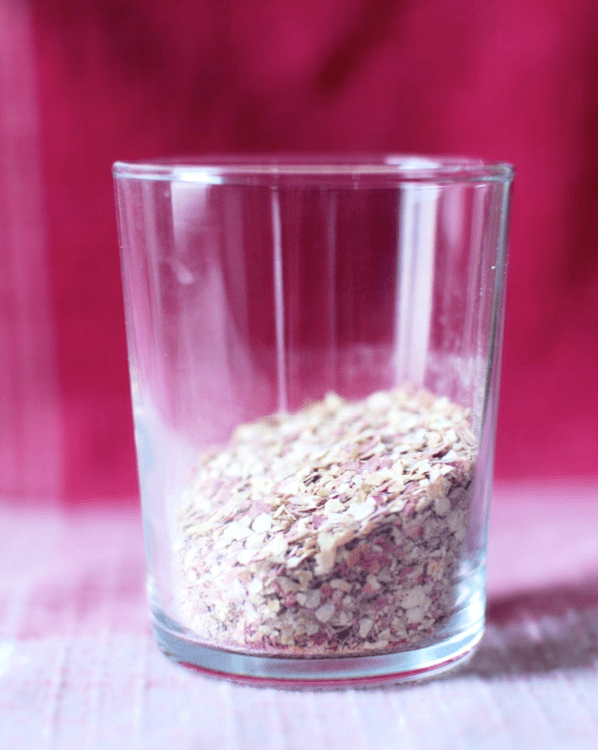 Put them into a food processor with 1 tsp of sugar (for abrasion) and blend on high speed until totally pulverized. Store in sealed glass jars as the dust will absorb moisture from the air. Another Idea For Using Green Tomatoes? Another good use for green tomatoes. Use them as a substitution for tomatillos which are all tart. (19) Julien Vaché’s answer to What can you make with green tomatoes? – Quora.